Testimony – Resting in Jesus Finished work over Miscarriage! Josh & I met on June 18, 2004. On June 18 of 2005 we said, I do, and became husband and wife for life. Little did we know at that time what, “for better or worse” meant when we said that phrase in our vows. While dating, Josh and I decided that we wanted to be married for 5 years before having children, as Nerida states in one of her sermons, it was something we took for granted, we assumed it would happen whenever we wanted it to. We wanted to travel, enjoy each other, get some money saved, all the things most couples try to plan before having a baby. Well fast forward to our 5 year wedding anniversary, we were having dinner. We started to discuss our plans on having a family. Josh asked if I was ready to have a baby, and at that time I said let’s wait one more year, little did we know we were already pregnant. After taking a test and realizing we were pregnant, we were ECSTATIC. We told our families right away, we posted on Facebook right away, we wanted the world to know we were gonna have a baby. Around my 6th week of my pregnancy I started having extreme cramping and bleeding, we called the Dr and went in for a ultrasound. We were sitting in a small back room and were told the worst news. I was miscarrying. The Dr had zero sympathy, and sent Josh and I on our way devastated, confused, and shocked. After experiencing that terrible difficulty, we realized we were ready to have a baby. After being cleared, we decided to get pregnant again. Right away with no problem we became pregnant, a little more aware of what could happen we hesitated to share our news with anyone except our mothers. 6 weeks came, and we had our first Dr appointment. I hadn’t had any bleeding, so we were starting to get excited that everything was okay. We sat in the Dr’s office and waited on an ultrasound. We were told after the ultrasound that we were having a molar pregnancy, which neither of us had ever heard of. After the Dr came in and described it I became terrified. He said I was gonna have to have surgery, that if everything wasn’t taken care of it could cause cancer, to me it sounded like a death sentence. I called my mom and told her I didn’t know if I wanted to ever get pregnant again. After calming down, I began to pray. I prayed that the pregnancy would not be molar, after having the surgery, it was confirmed it was not molar, but I never really got a clear answer as to what was wrong. After a little time we decided to try and get pregnant again. This time we were both scared, not sure what was ahead, trying to believe that everything would be okay, but always having questions in our minds. Once again we became pregnant right away, went in for our 6 week appointment, and was told that this pregnancy was a blighted ovum. Which meant, according to the ultrasound, there was a sac but there was no baby. The Dr came in to discuss another surgery, we decided to let my body do whatever it chose to do. We had heard of people being told there was no baby, and a baby actually be there. So we waited, around 8 weeks my body began to miscarry again. After this event I became doubtful in ever becoming a mother. I felt so alone, I would see pregnant people in the mall and have such a desire to be a Mommy. I felt like I was a let down to my husband, who I knew would be an amazing Daddy. I felt like I had some type of disease that no one understood. When all of my negative emotions began to calm down I started googling. God used an iPad, & google to help me discover Nerida Walker’s ministry. I searched and read and believed every word that she was saying, that night I ordered It Is Finished, and God’s Plan for Pregnancy. When the books arrived I started reading It Is Finished first, I put God’s Plan for Pregnancy away. I didn’t want to think about being pregnant or having a baby, I wanted to dig into the word and learn everything I could possibly learn. I didn’t want to be reading just for having a baby, I really wanted to learn more about who Jesus is. My whole life was spent in church, I was kinda taught to believe whatever happens is suppose to happen, it’s God’s will. When reading It Is Finished I realized that isn’t the truth. I learned that we have a power inside of us that can speak to situations, and they MUST change. I learned that Jesus took stripes on His back for us to claim healing. 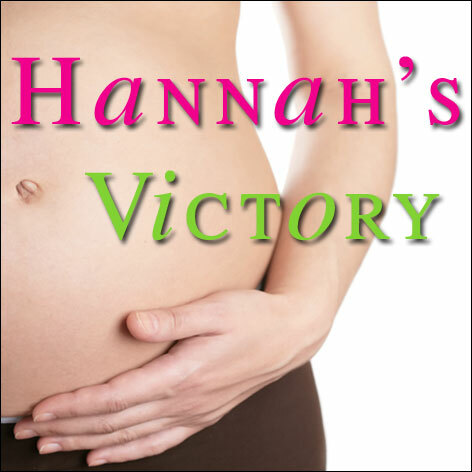 After reading It Is Finished, I began to read God’s Plan for Pregnancy. I read every single word, I was also listening to sermons by Nerida several times a day. Each day everything was becoming real to me, I began to believe that Jesus wouldn’t withhold any good thing from us. I believed that I was a fruitful vine, that He makes the barren woman to be a joyful mother of children. After much studying and building of faith, we decided to try again to get pregnant. This time I felt different about being pregnant, I can’t say that I never got nervous, but when I did I would say out loud, God has not given me a spirit of fear. I spoke to my body to line up with God’s word, and I wouldn’t accept anything else. Once we saw a positive pregnancy test we went and bought a crib, I think I was 5 weeks. We bought the crib while we were on vacation celebrating our 7 year wedding anniversary. Our first Dr appointment was at 6 weeks, we had an ultrasound, and there was a heartbeat, there was a BABY!!!! We were so thankful, relieved, excited, and a million other emotions. I believed God, that our baby shall live and not die declaring the word of the Lord, I believed that I shall not miscarry or be barren. I had an absolutely amazing pregnancy, no spotting, no bleeding, we were sailing through the pregnancy. At our 23 week appointment we were given an ultrasound and told that they believed our baby girl had one ventricle in her brain that was larger than the other. I got on google to see what that meant, I didn’t even know there were ventricles in your brain, I had only heard that word when referring to someone’s heart. I received that call while I was in my classroom teaching my kindergarteners. I left my students with the aid, went to the bathroom, and prayed like there would be no tomorrow. I spoke to her brain, which I had done everyday of my pregnancy, to function the way God designed. We had almost a week before our appointment with the specialist, my prayer for the appointment was, God let them look at us and ask us why are you here. On a Tuesday morning, my husband and I make the trip to the specialist. We walk into the ultrasound room, as soon as the technician puts the probe on my belly we were looking right into the brain. She explained what we were looking at, she looked at us and said, “why are you here?” I told her what the Dr had said, and she said, “the ventricles are identical, I can measure to make sure.” Sure enough, they were both the exact same size. God answered our prayer. 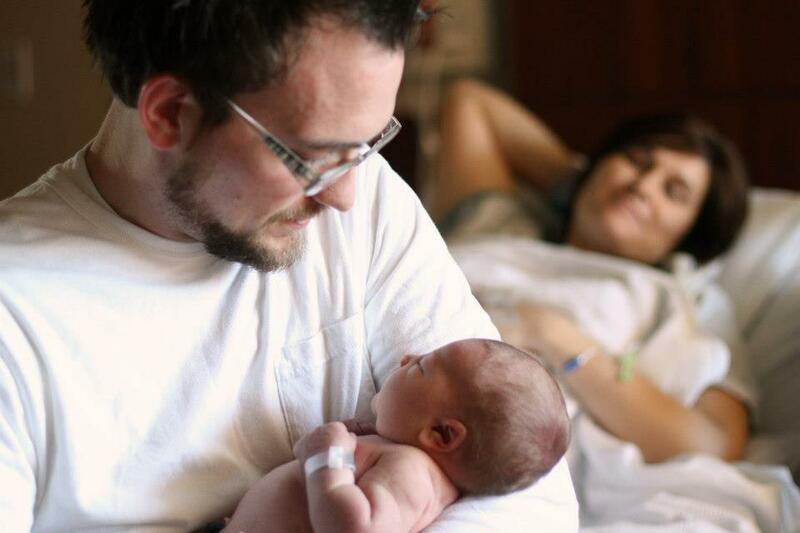 Fast forward to February 5, 2013, at 9:15 pm… a nurse placed the prettiest baby girl I have ever seen on my chest, 7lb 10oz, 21.5 in. 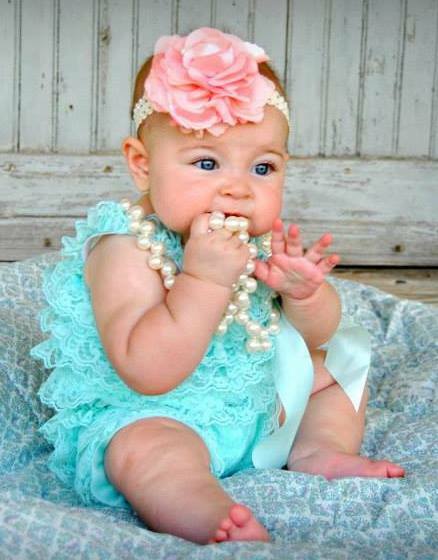 long, Abigail Grace Watson. Every prayer that I had ever prayed, every tear that I had ever cried was totally worth it at that moment. She is now 8 months old, and is a total joy in our lives. She has an amazing personality, she is so happy. When she says Mama I feel like my heart is going to explode in my chest. She is our good & perfect gift, she is fearfully & wonderfully made. If I have anything to say to anyone, don”t lose hope, God is faithful to complete that which He has started in you. He deserves the glory, the praise, and all the honor!!!!!! Thank you Nerida for your ministry, blessings to you always!!!!! You have heard what the world says regarding miscarriage. NOW for some Good News Click on this link – MIscarriage. to discover what God says!